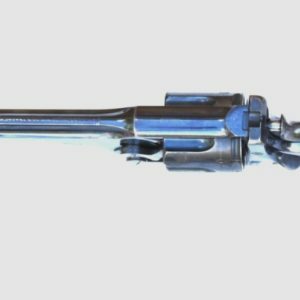 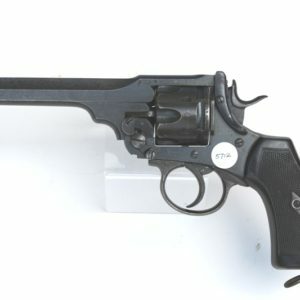 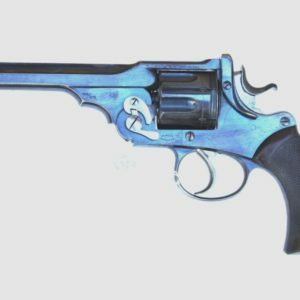 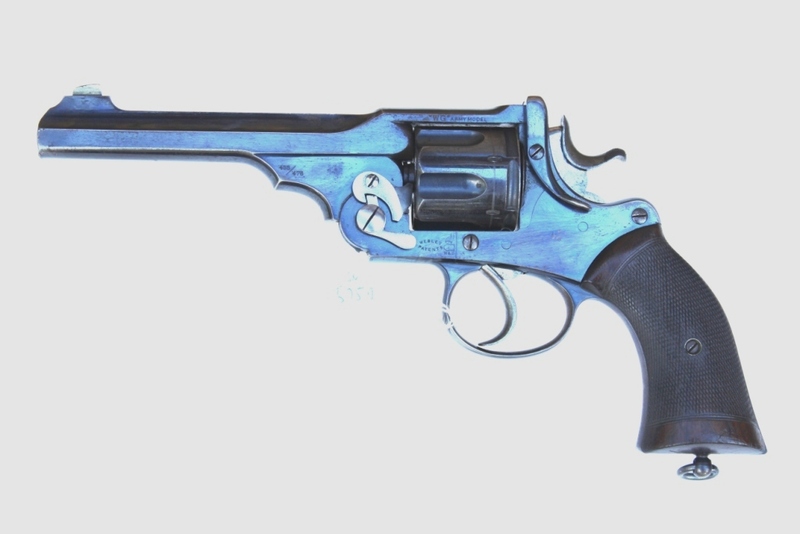 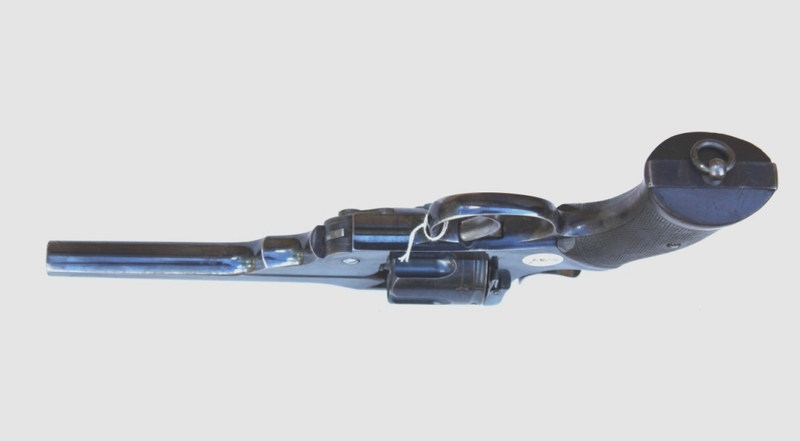 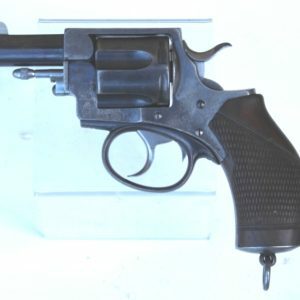 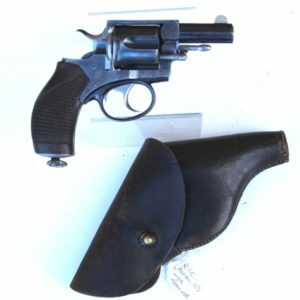 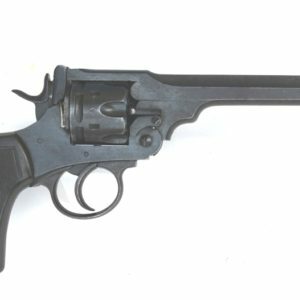 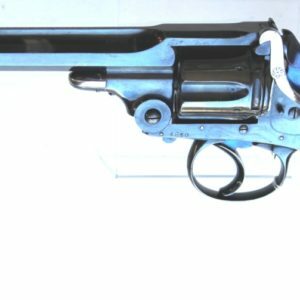 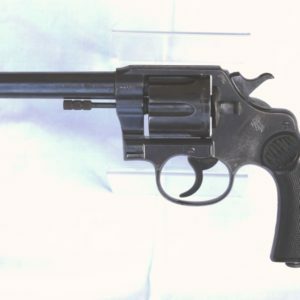 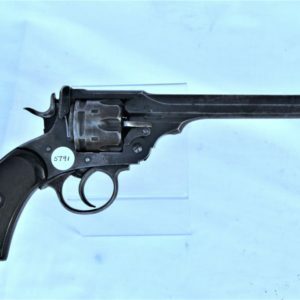 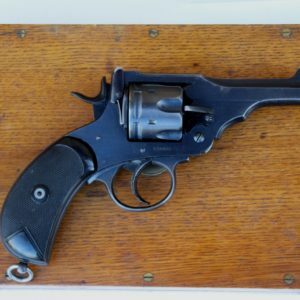 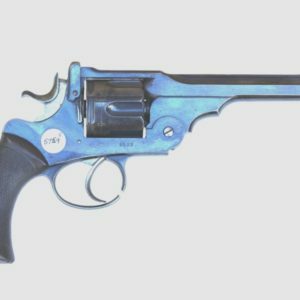 A .455/.476 Webley WG Flared Grip Army Revolver with 6” barrel in blue, marked P Webley & Sons, serial number 85**. 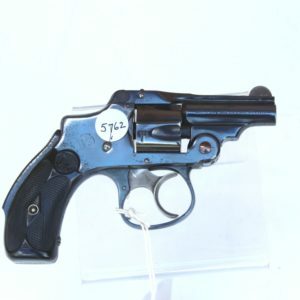 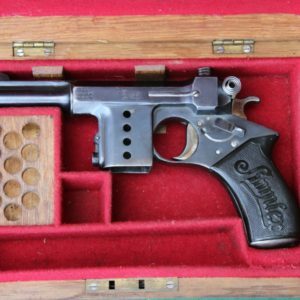 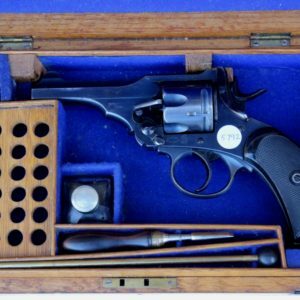 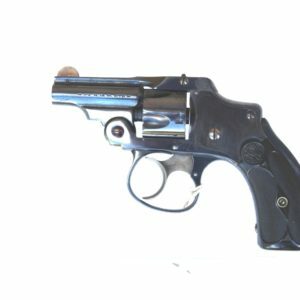 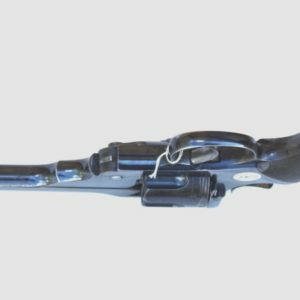 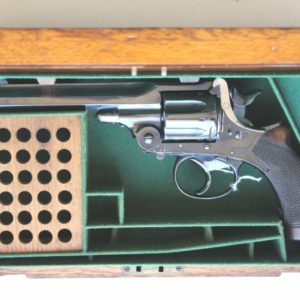 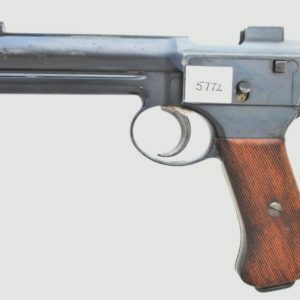 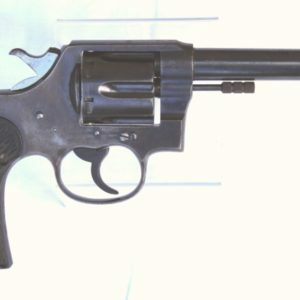 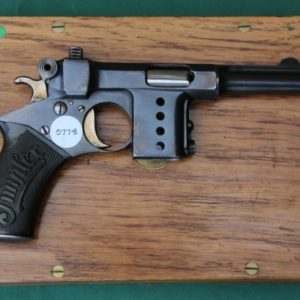 Condition: The pistol retains some 85%+ of its original lustre blue colour, polished parts are clean. 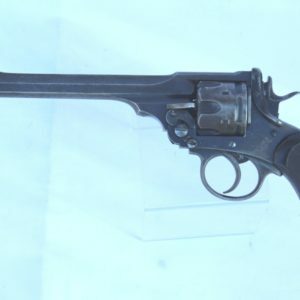 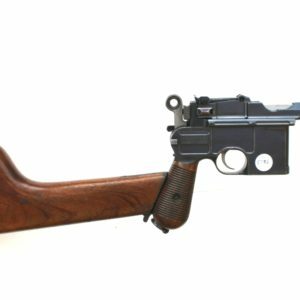 The bore is frosted and the thin Webley rifling is all present. 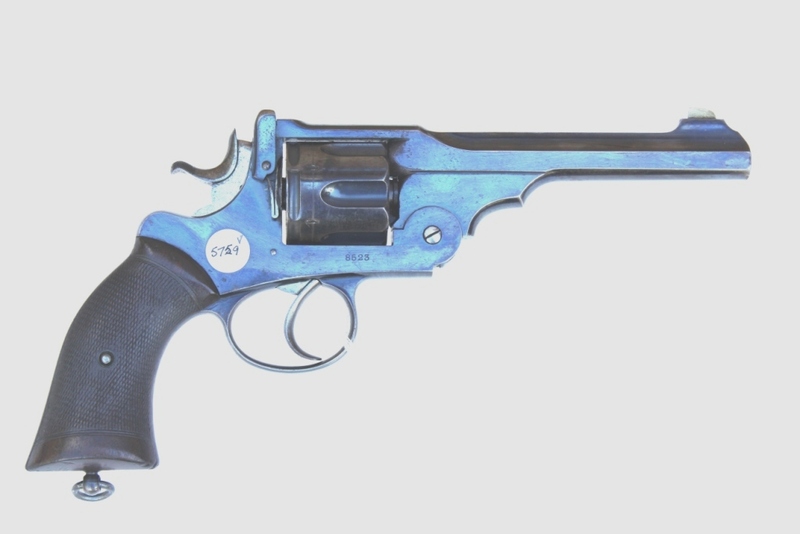 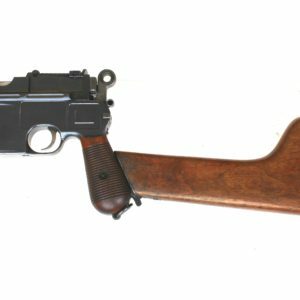 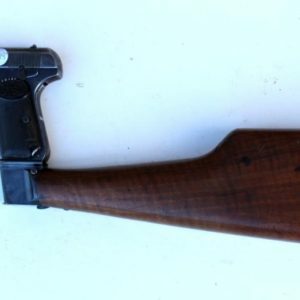 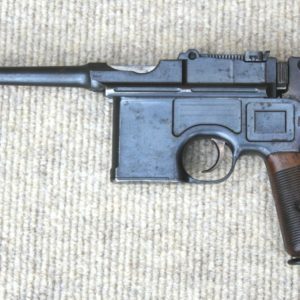 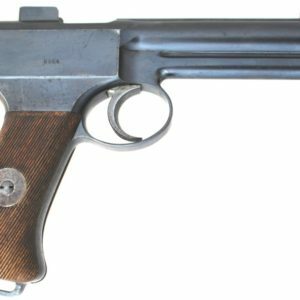 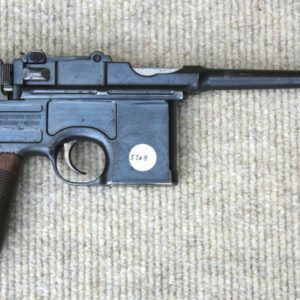 There is some rust staining to one chamber of the cylinder where the pistol has been lying at some point; other than that, very few marks or abrasions to the finish and very little rust speckling. 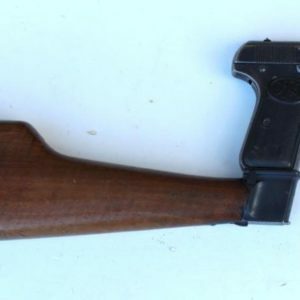 The flared wood grips have some wear commensurate with use, but without any bad dings or abrasions.